Owner, Peter Loy, was kind enough to help me acquire some cameras that are easily found in the UK, but uncommon here in the US. Peter didn't know me, but that didn't stop him from helping me out. It's tough to find such kindness these days. Peter's site contains images of all the items he has for sale, including a good deal of Leica equipment as well as other fine classic camera items. Prices ? I find that Peter's prices are down to earth and reasonable. I'd encourage you to take a look at his current stock listing and visit often as he updates his inventory frequently. I highly recommend Peter Loy Collectable Camera Specialists. 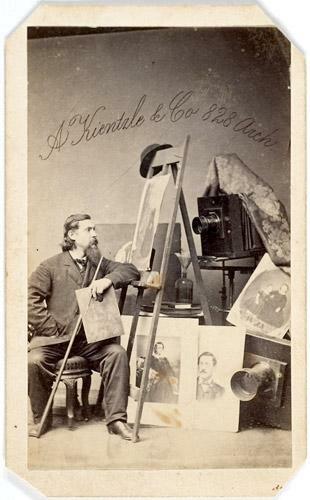 Richard E. Walzl was a well known photographer and prominent dealer in photographic items in the second half of the 19th century. Born in Vienna, Austria in 1843, Walzl was a photographer by trade who worked in Baltimore. Walzl was not only a successful photographer but he also operated a highly successful photographic supply business beginning in 1862. 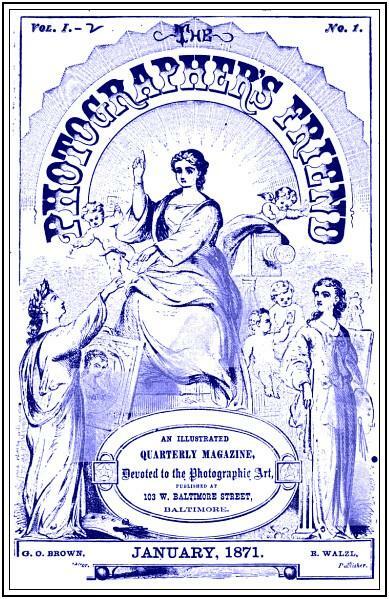 Walzl also published a quarterly journal called the, The Photographer's Friend starting in January 1871, and then in 1878, produced another quarterly journal called Photographic Rays of Light. "The Late Richard Walzl.—There are few men in the country who are known as well throughout the photographic fraternity as was Mr. Walzl. Thirty seven years  ago he started his first gallery in Baltimore. It was on a small scale—only one room on a fourth floor—but with his quick business perception, his push, and his untiring devotion to the art, his establishment has grown to be one of the largest and best known in the country, finally occupying the magnificent marble building built by Mr. Walzl for this purpose. 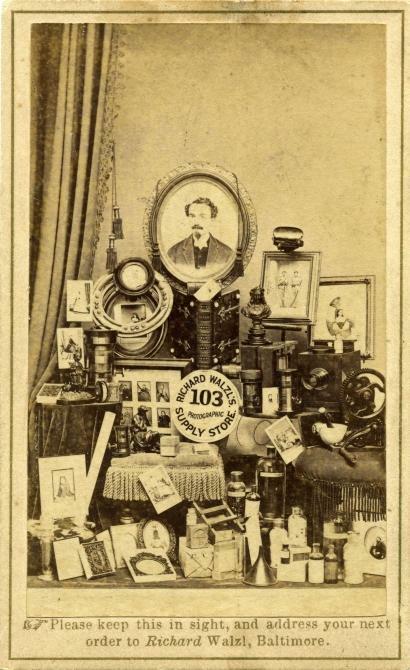 He early started a photographic supply department, which was lately the greatest part of his business, for his remarkable business instincts could never allow him to live alone by the art which was, nevertheless, so dear to him, and which would have alone made him well-known among photographers. But it was as a business man that he was best known, and it is as a business man that his loss is felt the most widely. 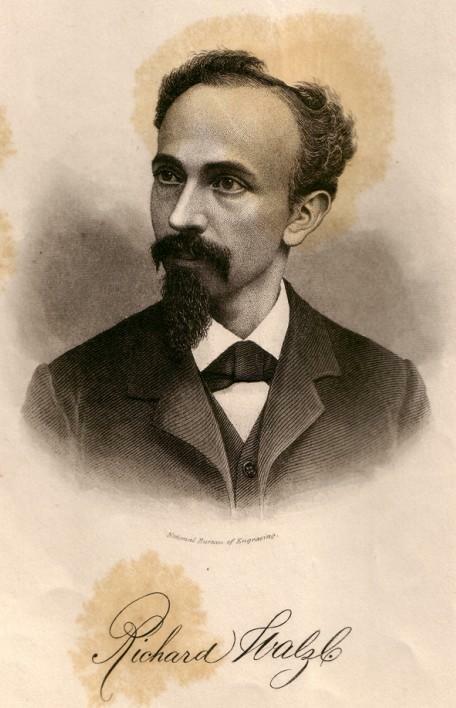 Since his attack of typhoid fever three years ago, he never quite regained his health, and he has passed away [May 10, 1899], after a busy and useful life." What is not too commonly known, is that Richard had two brothers that were also in the photography business, namely John H. Walzl (b. 1833) and Louis Walzl (b. 1837). In the 1860 Census report for Baltimore City, Louis and Richard were living under the same roof with other members of the Walzl family. Louis' occupation was listed as Daguerreotypist while Richard (16 years of age at this point) was listed as an Ambrotypist. 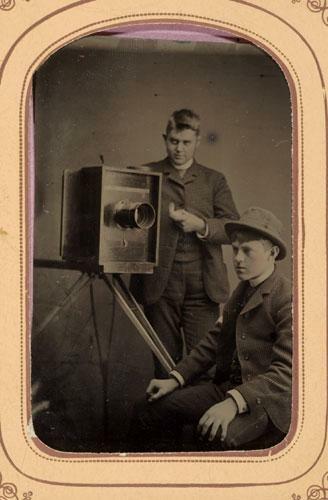 The oldest brother, John H. Walzl, was also a Daguerreotypist and actually started his own photographic supply company long before younger brother Richard's more well known business came to be. John's business, called for some period, the Southern Stock Depot was established (per his 1866 ad from Humphrey's Journal) in 1850. Interestingly, ads from younger borther Richard Walzl's business mentions "Successor to the Stock Depot founded...in 1848." Both ads are shown below. Richard Walzl was quite a succesful business man. 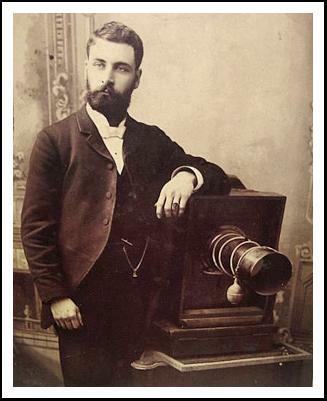 Not only did he make and publish many images including Ambrotypes, CDV's, Stereo cards and Cabinet Cards as a highly competent photographer, he became better known for his very successful photographic goods business which operated from 1862 until his death in 1899. 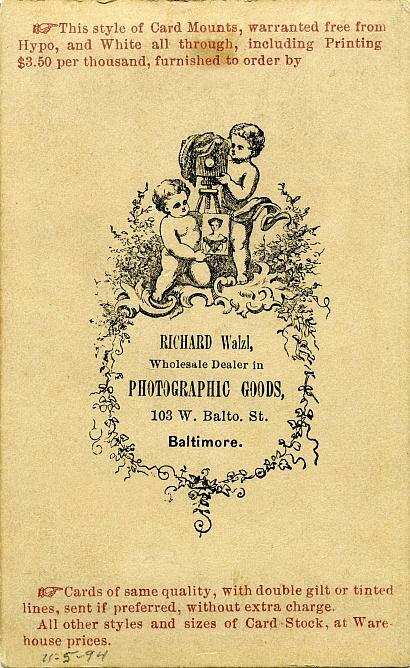 Walzl's advertisements were highly creative and artistic and by publishing his own trade journals, he further enhanced his place as a major player outside of New York and Boston in the photographic supply business. 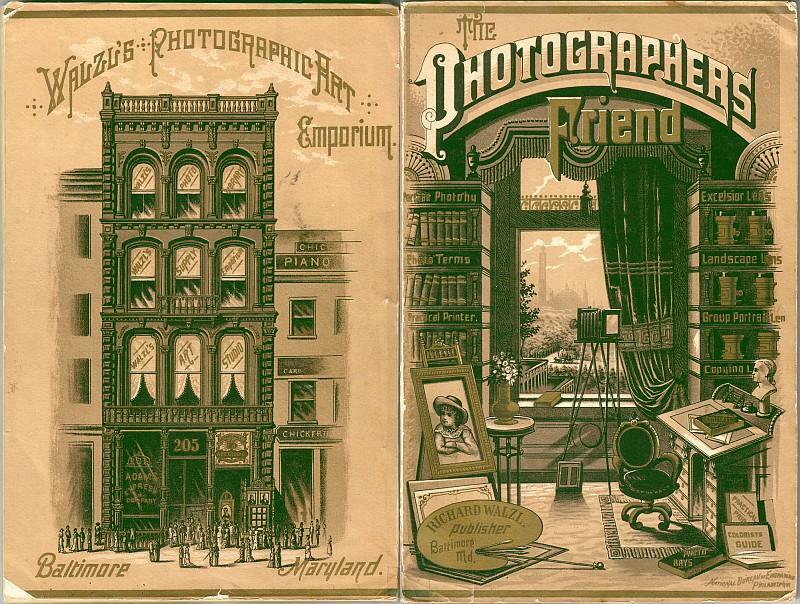 Cover pages of an 1882 Edition of Walzl's, The Photographer's Friend. image Courtesy of Larry Pierce. Below is a CDV from Richard Walzl courtesy of Matthew Isenburg. Click on the front image for an incredibly detailed larger version of this image. Click on the image below to access Walzl's complete price list from 1871. Some terrific images from Wes Cowan's Auction House. If you have any interest in Rollei Twin Lens Reflex Cameras, you must buy this book. Filled with incredible detail, and very well illustrated, I would say this is the definitive book on Rolleiflex and Rolleicord cameras. And, at $ 26 and change for a hard cover book with 352 pages, it's literally a bargain. Don't buy another Rollei until you read this book. This is not hype folks, I got this book and couldn't believe the research that went into it. For example, there are pages highlighting just the lens caps that were made over the 80 odd years of Rollei TLR's. Run, don't walk to pick up ths book. 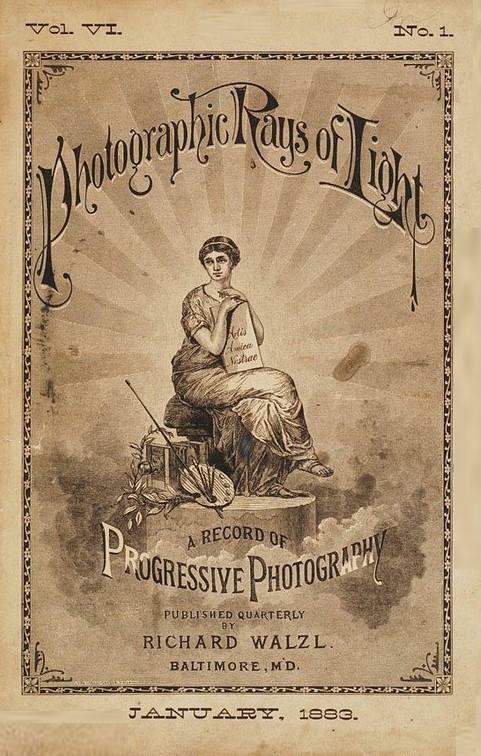 Interested in learning more about the early days of photography in America ? 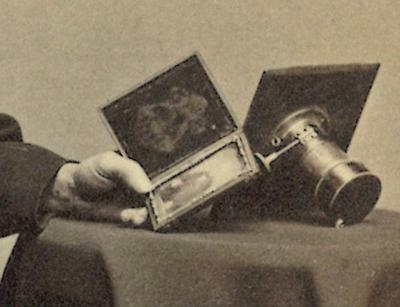 Want to see some mind blowing Daguerreotype images ? 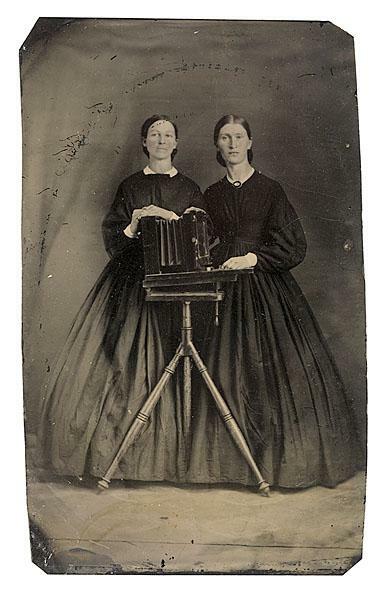 Want to learn about the early Daguerreotype Artists ? Want to understand more about the early equipment used ? Read about the transtitions from Daguerreotypes, to Ambrotypes and tintypes and finally to paper prints. Do you like large coffee table books with stunning, high quality images ? Come on down ! 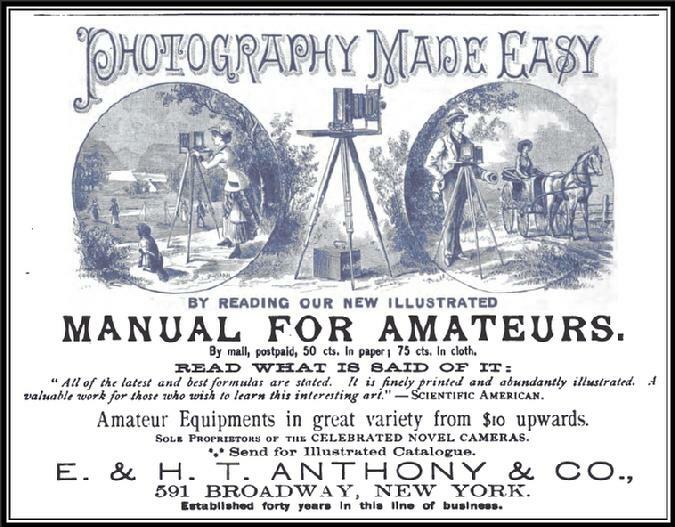 Again, another must have book for the camera or image collector or historian of photography. 360 pages of pure joy and weighing almost 5 pounds, another must have for your library. More candy for the camera collector. Todd Gustavson, Curator of the George Eastmant house, "traces the camera’s development, the lives of its brilliant but often eccentric inventors, and the artists behind the lens. 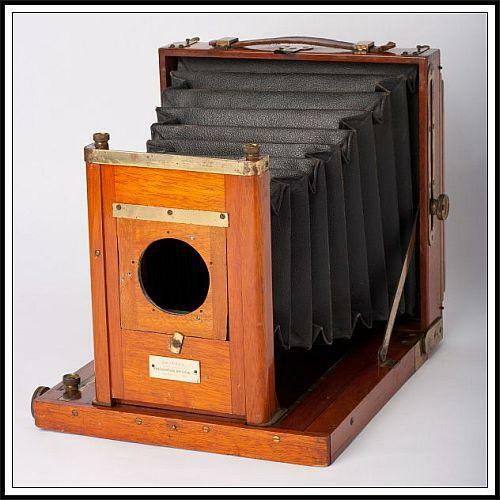 Images and highly descriptive captions for more than 350 cameras from the George Eastman House Collection, plus more than 100 historic photos, ads, and drawings, complement the textMore candy for the camera collector." Another big, beautiful coffee table book with very high quality images, this book is like taking a trip to the George Eastman house in the privacy of your own home. Billhead from Scovill Manufacturing from 1863.... That's right in the middle of the Civil War. 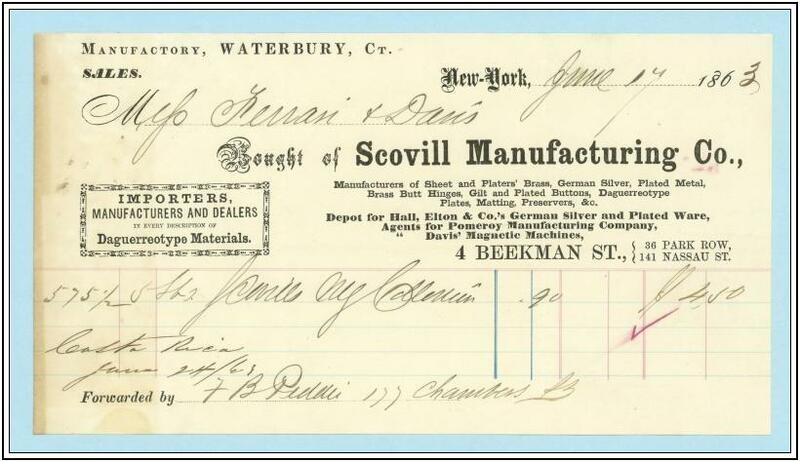 Reading handwriting from this period can be difficult, but it looks as if 5 pounds of Scovill NY Collodion was purchased at a rate of 90 cents per pound. Also, note the reference to Costa Rica (June 24, 1863). The buyer was the photographic firm of Ferrari and Davis. Leopoldo de Ferrari and Daniel H.B. Davis were listed in Trow's new York City Directory of businesses in 1864 and I have also seen references that show they were still in business in the early 1870's. 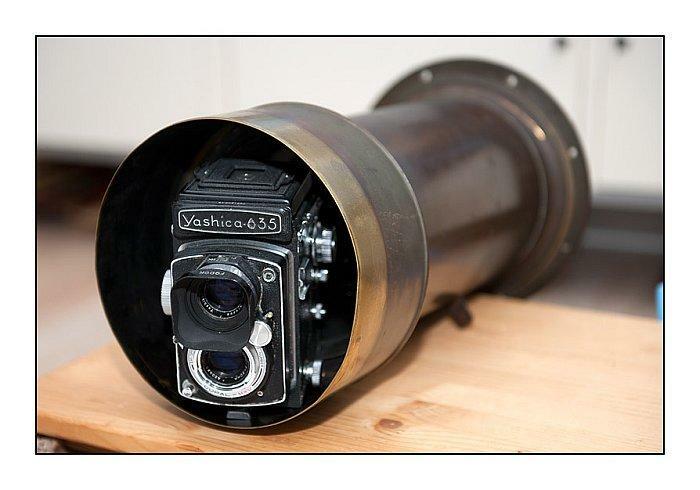 Continuing the theme below regarding LARGE lenses, a Voigtlander Portrait lens is currently on eBay that is immense. According to the seller, it measures about 22 inches in physical length and weighs in at 31 pounds ! Lens sold for a whopping $ 11,211.00 USD Holy cow ! On another note, I recently acquired a very fine CDV of a gentleman sitting with an opened cased image (Daguerreotype or Ambrotype) and a portrait lens. The back is imprinted "T.P. Stiff of Hyannis, Massachusetts"
I assume this is an image of the photographer himself given the presence of the lens. 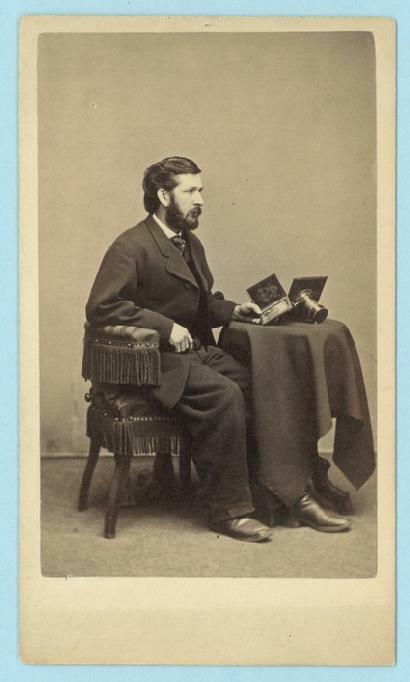 This very helpful site lists Thomas P. Stiff as one of the most active photographers during the Carte-de-Visite Period. As early as 1860, Thomas his brother Phil S., were listed as Daguerreians out of Middleboro, Massachusetts. Stiff is later listed as having worked in Brockton, Fall River, Salem, Taunton, and Hyannis Massachusetts. There are also numerous other references to other members of his family (Charles and Fred) having practiced photography as well. Stiff must have been very succesful as he is listed in an 1888 book, "Twenty Thousand Rich New Englanders." For those with an interest in Rolleiflex TLR cameras, the following is an interesting story with a great video. Be sure to watch in 1080p high definition. Posted with permission from Yaniv. Rochester Optical Co. "Universal" Camera in 5x7 format. Introduced in 1890, this camera was the first in a string of "English Style," compact, folding view cameras produced by ROC. 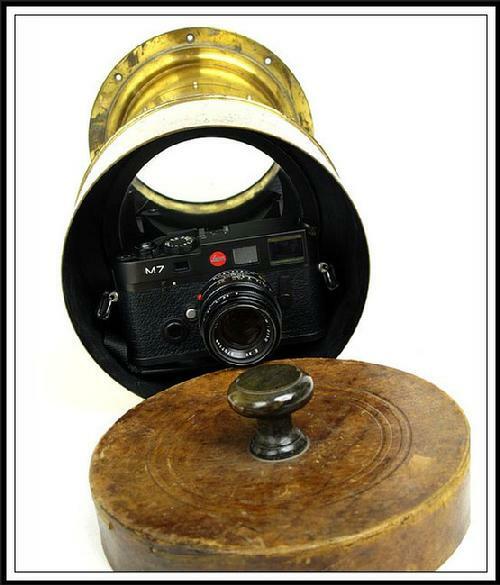 A fine, vintage view camera in original condition. $ 300 plus shipping. Click here to see a full description and many more images. 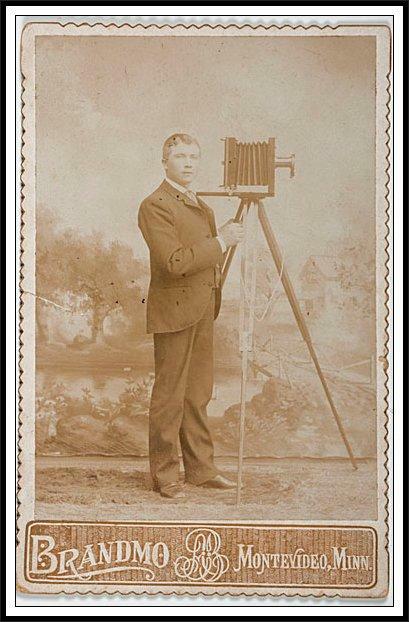 Cabinet Card featuring a photographer and his camera. Based on the camera model in the image and according to the biography notes of the Photographer taking the image, Brando, this card likely dates this image to about 1897 or 1898. 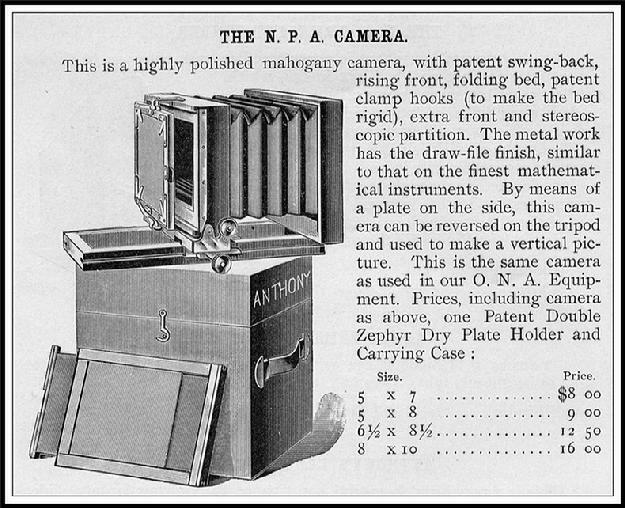 The camera in the image appears to be an Anthony "NPA" model, variation 3, according to Larry Pierce's great site. The condition of the card is good overall, however, the image is a bit lighter than normal as you see in the scans below. 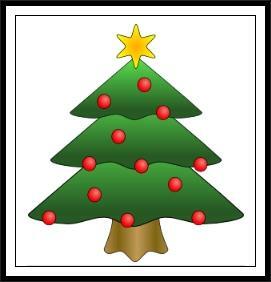 Its the perfect card to scan and correct digitally. There is also a small, but not very noticeable crease/tear in the card - see below. Lastly, there also some scattered dark "specks" on the image. Despite these condition issues, its still a very nice image and priced right at $ 150 shipped anywhere in the world. Please email if you are interested. In case you didnt get everything you wanted for Christmas, here's your chance to buy a great pencil sharpener... Its not just cool looking, its a great sharpener with a clever design. 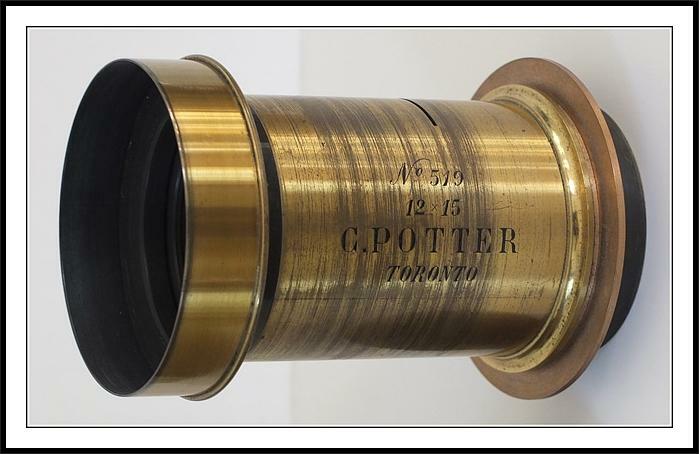 Speaking of large lenses in the last post, a Dallmeyer Patent Portrait & Group lens is currently on eBay. 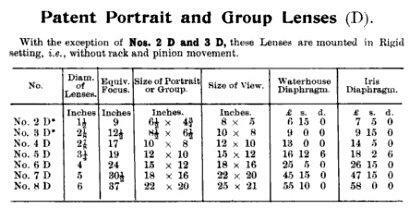 What's so special is that this is the 8D size which is another monster of a Portrait lens - the largest Dallmeyer catalogued in this series. According to Sean MacKenna, Dallmeyer archivist with access to Dallmeyer production records, "Dallmeyer made only three or four 8Ds a year, in contrast at this time they were turning out some fifty or so 3Bs a year." That makes this lens huge and rare. Will be interesting to see what this sells for given it's massive coverage and how infrequent a lens this size is sold on eBay. MacKenna noted a UK eBay auction in December 2009 for an 8D finished in aluminum, that sold $ 5,600. See more from Sean's site, including wonderful images from inside of Dallmeyer's lens factory from the Brent Archive. UPDATE: The lens auction ended early, so it is likely a private deal was made on the lens. 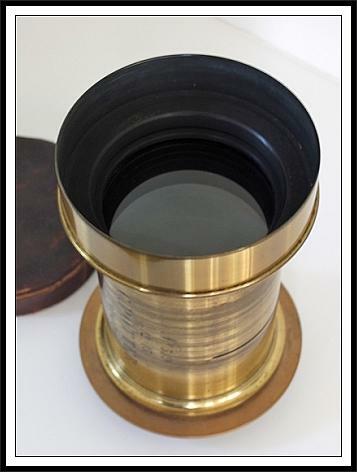 If you have read my Petzval Lens page or are knowledgeable about Large Format lenses, than you know how physically large and heavy these old Portrait lenses can be. Professional Wet Plate Photographer, Alex Timmermans, has recently acquired a No. 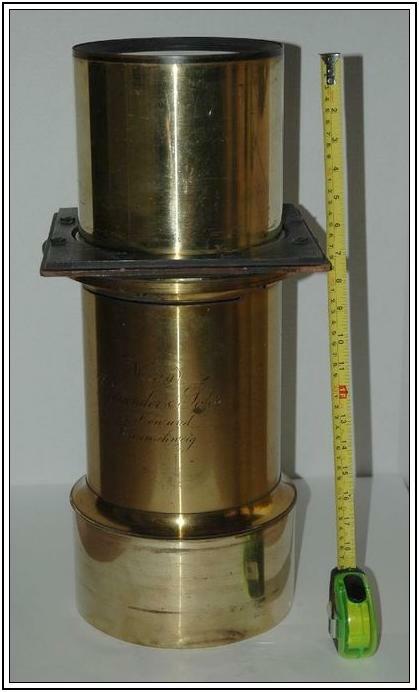 8 Voigtlander Petzval lens, manufactured about 1863. One Voigtlander source puts this lens size at 21.3" but doesn't state if that's focal length or back focus. 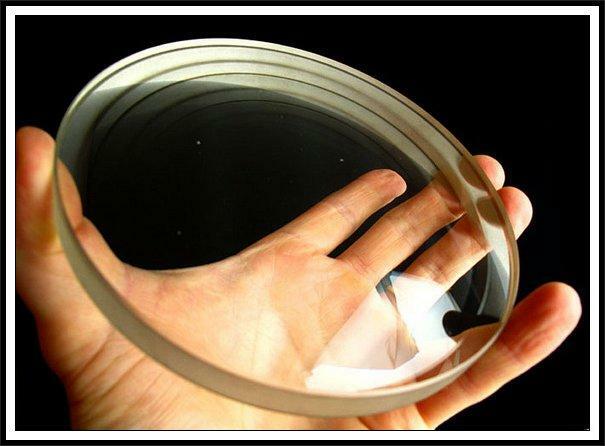 It also stated this lens was to cover 15.5" format. The lens actually focuses on infinity at 24" measured to the stop. And if that wasn't big enough, Voigtlander actually made a No. 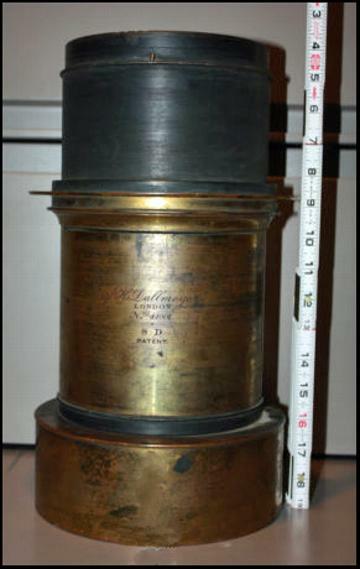 9 sized Petzval that was 3" longer to cover 18.5" fornat. This lens weighs in at over 16 pounds and stands about 15" tall with a front lens diameter of almost 5.5" inches. A big, honkin' hunk of glass ! 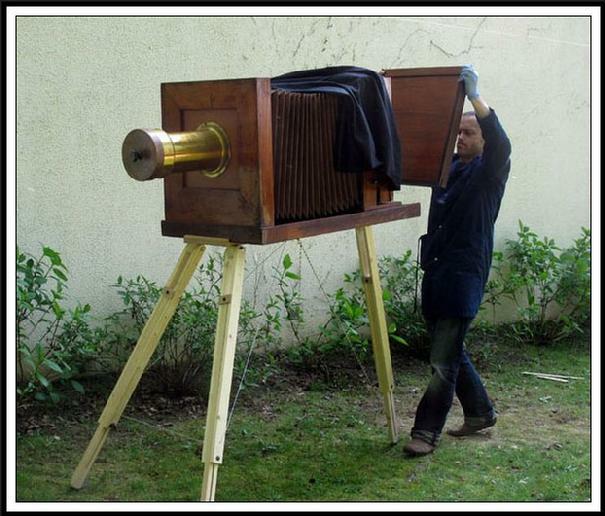 Another accomplished Wet Plate photographer, Fabrice Pejout, happens to own the same model lens. Serial number indicates it's about a year older than the lens above. See more of Fabrice's lens on his Flickr account. I will post a list of each camera model shown in the video in the days to follow. 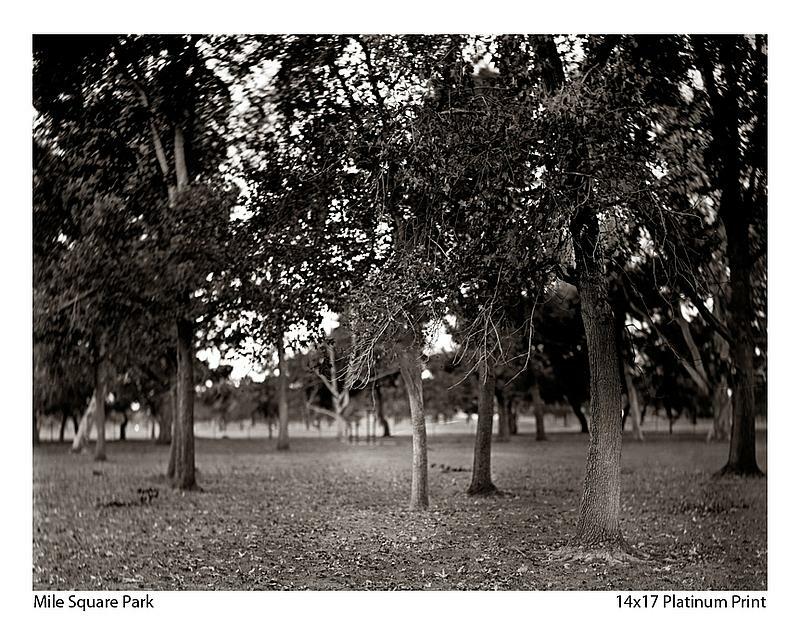 Last month I acquired a simple, yet elegant Rapid Rectilinear lens, circa 1885. What was a bit special about the lens was it's 21 inch focal length and its marked "12x15" inch coverage. The lens was "slotted" for waterhouse stops and appears to be f/8 in speed. I sold the lens to a fine art photographer, Tri Tran, whose craft involves really large cameras and the lenses that cover them ! His website can be found here. As a collector and historian of photographica it's nice to see someone use these antiques on a regular basis. While I occasionally will test out a piece of antique gear, I certainly don't have anything that would allow me to use a lens requiring 21" inches of bellows draw just to shoot at infinity - so I was glad to see an image crafted with this lens by Tri. Below you will find his elegant and refined image taken with this lens.